If you look around you will notice that most download sites offer ZoneAlarm 8.0.298 on their websites when in fact version 9.1.007.002 of Zonealarm is the newest version. The Zonealarm website itself links to a download over at download.com that is offering version 8 of the Zonealarm firewall. Zonealarm 9.1 on the other hand has already been released on November 24 but the announcement of the release does not seem to have got past the Zonealarm forum yet. The forum announcement of Zonealarm 9.1 links to a download page at the Zonealarm website where users can download that version of the free software firewall. Major changes in Zonealarm 9.1 include full Windows 7 compatibility and a new browser security toolbar that detects spy sites, offers website safety checks and ratings as well as a signature and heuristic phishing detection. Zonealarm users who are running an earlier version of the Zonealarm firewall are asked to uninstall that version before they start installation of Zonealarm 9.1. Best way to do so is to remove Zonealarm from the list of Windows startup items by going to Overview> Preferences > General > Load ZoneAlarm at startup. 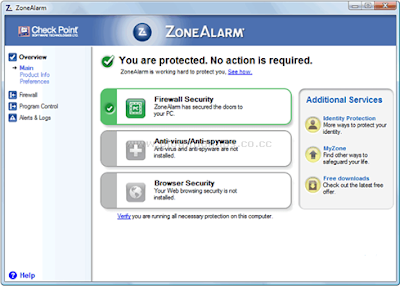 It also has to be noted that Zonealarm 9.1 should be run as the only software firewall on the computer system. It is therefor highly recommended to uninstall other software firewalls and to disable Windows firewall to ensure that the firewall protects the PC properly. 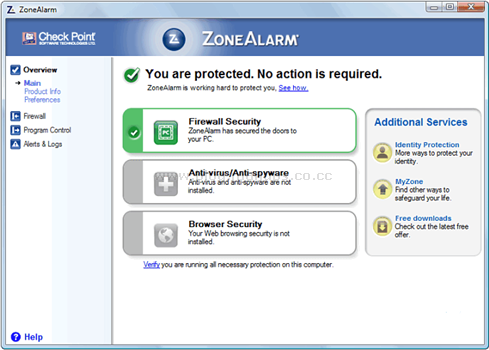 Zonealarm 9.1 is compatible with both 32-bit and 64-bit editions of Windows 7 and previous Windows operating systems.